Just a few days, until February 24th. you can, by registering for free, watch a video of 7 seconds and earn Asimi (a new cryptocurrency that today is worth about $ 2.50 and can be changed through the Waves Client portfolio *). From February 25 to earn Asimi will need to buy the Asimi Stake that are advertising packages, the price of $ 100. Each advertising package entitles you to watch a video of 7 seconds for 365 days. It is this action that makes the Asimi gain. Of course you can buy Asimi Stake using the already earned Asimi, including those earned for free by February 24th. You can also have referrals, but to do this (before it was free). you must pay a one-time fee of 30 $. 10% of their earnings are perceived on the referrals activity. 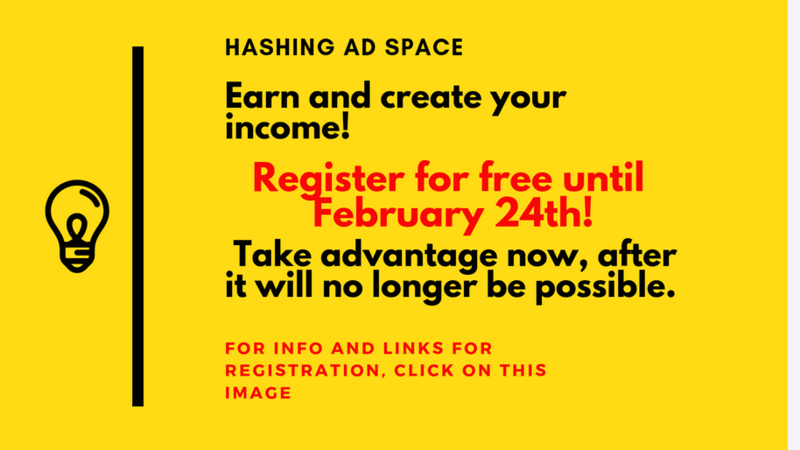 We will also have a free space that allows us to insert advertising to our business and get 200 impressions (not many, but it's free) or insert 800 banners. From the premises, from the accuracy and correctness highlighted at this stage, it seems to me an opportunity not to be missed and a serious opportunity to make money.